Entitled Sahtak Awalan – Your Health First, the five-year campaign aims to educate both the Qatari and expatriate communities about healthy lifestyles. 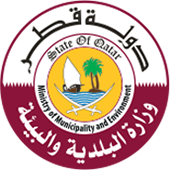 He added: “Your Health First basically targets the 10 to 25-year-old age group and is a perfect example of the fruitful cooperation between public and private sectors, and comes in line with the vision of SCH that the private sector is a vital partner to promote quality healthcare in Qatar. Dr. Javaid Sheikh, Dean of Weill Cornell Medical College in Qatar, said: “WCMC-Q adopts the vision of Her Highness Sheikha Moza Bint Nasser, Chairperson of Qatar Foundation for Education, Science and Community Development, and her efforts to promote education and healthcare in Qatar. Thus, we announce this initiative in cooperation with the Supreme Council of Heath in Qatar using educational strategies to promote healthy behavior.